How to express your ideas and stand up for yourself at work and in relationships. This self-directed program teaches readers to speak up and say what they mean at work and at home. Written supportively, it uses proven cognitive behavioral techniques to help individuals build self-confidence, set boundaries, and determine appropriate responses. The simple and effective step-by-step guide to achieving success - for people of any age. This book shows you how to plan for and create the life you want, instead of the one you don't want. Jake's bragging is really starting to get to his neighbor Tyler. 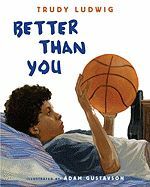 Tyler can't show Jake a basketball move, a school assignment, or a new toy without Jake saying he can do better. With the help of his uncle Kevin, Tyler begins to understand that Jake's bragging has nothing to do with Tyler's own abilities. This resource is a fully-formed positive psychology programme designed to promote happiness, resilience and motivation in young people aged 11�18. It introduces the theory and research behind positive psychology, and includes a guidance section for facilitators on how to deliver the programme. The programme itself is made up of 24 chapters which reflect each of the 24 'character strengths' identified by Martin Seligman, the founder of positive psychology. These strengths include creative thinking, kindness, fairness, leadership, forgiveness, and teamwork. Activities teach students how to develop these strengths and skills in order to initiate positive change in their lives. In an age of social media, texting, and ever-evolving technology, it�s easy to forget how to engage in real, face-to-face communication, a critical skill for your future success! As you become more connected to your smartphone and the internet, your ability to connect in person may diminish. But technology doesn�t replace the need for effective communication skills. In fact, successful personal and professional relationships are dependent upon connecting with people face-to-face. Communication Skills for Teens provides the guidance you need to become a better communicator and succeed in all areas of life. You�ll also learn tons of essential life skills, including active listening, assertiveness, clarifying language, the art of an apology, compassion, interviewing skills, family communication, and more. Each chapter focuses on one key aspect of communication, offers a real teen�s perspective, and includes practical exercises to help you apply what you�ve learned in the real world�away from your computer and smartphone screens. By following the practical, skills-based tips in each chapter of this book, you'll learn powerful communication techniques to last a lifetime. Being a teen girl isn�t easy�so learning skills to feel confident is key! This book teaches you how to communicate effectively and feel assertive in any situation. Whether it�s online or at school, with friends, parents, bullies, cliques or crushes�any tricky situation life throws yours way. Many teen girls feel pressured to be nice, rather than assert their opinions. They may fear being called bossy or pushy when speaking their mind or offering a different point of view. Your thoughts and feelings matter just as much as everyone else�s�you just need to find your voice. Express Yourself offers skills based in dialectical behavior therapy (DBT) and cognitive behavioral therapy (CBT) to help you create positive interactions with others and deal with difficult emotions that can arise from bullying or dealing with mean girls. The book also provides easy-to-use strategies that will boost your self-esteem and confidence, and you�ll discover tons of assertive communication skills you can use every day, including how to speak up when you are upset, asking for what you want in a clear assertive manner, and coping when intense emotions threaten to take over and sabotage your relationships. In our modern world of social media and texting, strong communication skills are needed more than ever. This book will not only give you the tools needed to speak up in everyday or difficult situations, but it will also provide powerful advice for effectively communicating in the digital world. School teachers know one thing to be true: that cooperative children do better at school and in life. Such children learn how to make friends, manage their emotions and solve problems with others. In Getting on with Others, clinical psychologist John Cooper identifies three skills as being essential building blocks for children: developing cooperative behaviour, acquiring basic social skills and solving social problems. He shows how parents can teach these skills and help children learn about feelings. In addition, he presents methods to assist children to develop assertiveness, reduce anxiety and handle situations involving conflict. The techniques described are clinically proven and research shows they are effective in changing children's behaviour. Carol McCloud is taking the bucket filling message to the next level. Not only does she talk about new levels of bucket filling and bucket dipping, but this book goes into depth about how to put a lid on your bucket. There are examples of how important situations in life need a lid to protect our buckets from being empty. After repeatedly getting into trouble for his failure to pay attention to others, Howard finally realizes the importance of listening. This book provides practical, hands-on strategies to teach social skills to children with high-functioning autism and Asperger Syndrome. It includes a detailed description of the social deficits of these children as they appear in the classroom difficulties with such things as understanding idioms, taking turns in conversation, understanding and using tone of voice and body language and ways to address them. Instruction is included in the book to enhance the development of appropriate, measureable, and meaningful individualized education plans (IEPs) to incorporate social goals. Lesson plans are included to facilitate the ability to 'teach' these social goals. Parents will find this text an excellent training tool to help develop social education curriculums for their children, and teachers will find it particularly helpful as an easy-to-read manual containing many 'nuts and bolts' strategies to utilize in the classroom. In the backyard at home or the playground at school, LD/ADD youngsters are often cruelly snubbed in informal play groups. To see a child socially isolated or rejected hurts caring adults, partly, perhaps, because memories of their own painful childhood experiences are stirred up. While it is neither possible nor even desirable to alleviate all the pain inherent in growing up, obviously we can't merely sit back and watch the child suffer. The right kind of intervention can have an impact. Children's "social quotients" can be raised just as intelligence quotients can be improved when the learning environment changes for the better. Social skills, like academic subjects, must be learned and can be taught. This compassionate, practical, readable guide describes everyday social problems and situations and offers invaluable advice on how to deal with them effectively. 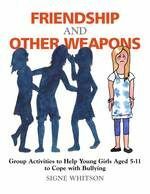 Among topics covered are: getting along with other kids; handling the social aspects of school; group techniques; and adolescent difficulties. When Louis, the world's self-proclaimed space expert, is invited to Personal Space Camp by the school principal, he soon learns that personal space really isn't about lunar landings, Saturn's rings and space ice cream. 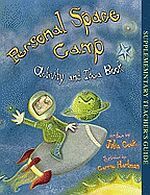 An activity book to go along with Personal Space Camp, by Julia Cook. Use as a supplementary teacher's guide with the storybook. Full of discussion questions and exercises to share with students. The 21 lessons in this resource for teachers and counselors help make school a place where all students feel supported and accepted so they can focus on classes, friendship, and fun activities. Over the course of the lessons, the leader introduces the concept of Developmental Assets(R), teaches students how to build these assets for themselves and others, and gives them the tools to spread messages of kindness, caring, boundaries, and acceptance to other students and adults. Role-playing and other activities will help students learn to effectively stop meanness with a respectful, caring demeanor toward both victim and antagonist. Ultimately, school becomes a warmer place where both teachers and students thrive. "The Shyness and Social Anxiety Workbook for Teens" offers worksheets and comic-style illustrated scenarios that help teen readers identify their values and practice evidence-based skills from cognitive behavioral therapy (CBT) and acceptance and commitment therapy (ACT) for overcoming shyness and social anxiety. A flexible, ready-to-use activities program to help special students in grades 6-12 The updated new edition of this valuable resource offers an exciting collection of 200 ready-to-use worksheets to help adolescents build the social skills they need to interact effectively with others and learn how to apply these skills to various real-life settings, situations, and problems. 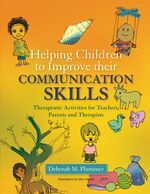 The book provides 20 complete teaching units focusing on 20 basic social skills, such as being a good listener, "reading" other people, and using common sense. Darlene Mannix, MA (La Porte, IN), has 26 years of experience as a classroom teacher and is the bestselling author of numerous books for special educators, including Social Skills Activities for Special Children (978-0-87628-868-9), Life Skills Activities for Special Children (978-0-87628-547-3), Writing Skills Activities for Special Children (978-0-7879-7884-6), and Character Building Activities for Kids (978-0-13-042585-0). Featuring a wealth of familiar and easy-to-learn games, this practical handbook is designed to foster successful social strategies for children aged 5-12, and will help adults to understand and reflect constructively on children's social skills. The book covers the theory behind the games in accessible language, and includes a broad range of enjoyable activities: active and passive, verbal and non-verbal, and for different sized groups. My Story about Asking Permission and Making an Apology! TRARJ is making a lot of trips to his time-out chair! Without telling anyone, he and his best friend Sam decide to walk home from school instead of riding the bus. Later the two of them are caught trying to use Dads computer to get onto the Internet. After their piano lesson, RJ and his sister Blanche snack on Moms triple-layer double-chocolate cake and spoil Grandmas birthday surprise. 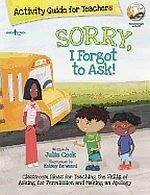 Activities and games in this book help K-6 students learn and use steps to the SORRY, I Forgot to Ask! skills of asking for permission and making an apology. Julia Cook gives teachers creative ideas using paper snowball fights, school litter hunts, role plays, and poster making so students work and think hard while having fun. Reproducible activity sheets and praise coupons (in full color!) are included on a CD-ROM. When Molly Lou has to start in a new school, Ronald Durkin makes fun of her height and her buck teeth. But Molly has learned a lot from her grandma and knows just how to put him in place--in a very satisfying way. The title says it all! Super Skills: A Social Skills Group Program for Children with Asperger Syndrome, High-Functioning Autism and Related Challenges is SUPER at many levels. Based on a thorough and comprehensive understanding of the unique characteristics of individuals with ASD, Judy Coucouvanis presents 30 lessons grouped under four types of skills necessary for social success: fundamental skills, social initiation skills, getting along with others, and social response skills. Each lesson is highly structured and organized, making it easy for even inexperienced teachers and other group leaders to follow and implement successfully. A series of practical checklists and other instruments provide a solid foundation for assessing students? social skills levels and subsequent planning. As a teen girl, having good, healthy relationships with friends you can count on makes all the difference. This book offers ten tips to guide you toward creating and maintaining the social life you want. Even better, the real experts that make this guide special are older teen girls who have recently been where you are now�and have plenty to say about it. As you move through this fun and engaging guide, you will get a sense of who you are as a friend, appreciate authentic qualities you can share with others, and get moving toward expanding the quality and quantity of your social connections. Before you know it, small steps will lead to big changes and you will find yourself more confident, connected, and happy. Grounded in evidence-based cognitive behavioral therapy (CBT), the ten tips guide you in developing yourself in both simple and significant ways. You will engage in thought-provoking exercises and take fun quizzes spaced between tips to get you thinking more deeply about yourself and others. If you�re ready to get going on your social life, this book will show you the way. Strong feelings and intense emotions are part of every pre-teens life. So why does something so common feel so overwhelming or embarrassing? Understanding Myself is written especially for kids with intense emotions Chock-full of current and relevant psychological research on emotions as well as real-life stories, useful quizzes and fun-fact boxes, Understanding Myself will encourage kids to notice just what their emotions are telling them about themselves, their friends and family. This informative and practical guide will help kids know what do when their emotions get to be too much! To achieve, you have to believe. It's that simple. This book offers you proven-effective skills for developing the confidence you need to turn your dreams into reality through the use of guided imagery. Packed with fun sessions and practical group activities this book offers a wealth of positive activities to engage, motivate and meet the needs of young men. Packed with fun sessions and practical group activities, this book presents a multitude of opportunities for young women to build self-esteem, confidence and assertiveness.